Here is a winter giveaway for all my lovely subscriber friends. As winter are just around the corner, I though it's perfect time for you guys to win free winter clothing. 6) Leave a comment with product like from Banggood that you would like to win. Giveaway Will run for 10 days, 1 winner will be chosen . But if we manage more than 100 participants 2 winners will be chosen. 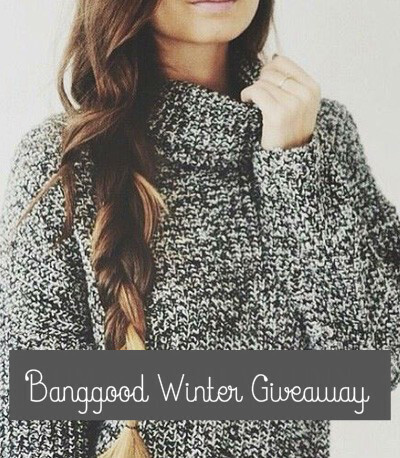 I have another giveaway going onn, Banggood Festive giveaway on my beauty blog , Indian Beauty Diary, do check it out, this is increase your change of winning. So all the very best and you might win yourself some new latest fashion winter clothing. I've seen ALL YOUR YouTube videos and let me tell you, you're the BEST! Hey Pooja,Thankyou so much for the wonderful giveaway. lots of love.. pooja... stay blessed ..!!!!!!!!! GFC & Youtube: Coline T.